A stretch of the M40 northbound near Warwick is expected to be closed for most of the morning after a crash which resulted in a fire. UPDATE: A man, believed to be in his forties, has died. Click here for more information. The northbound section is closed between closed between junctions 15 (Warwick) and 16 (Henley) - while a separate lorry fire has also closed M40 southbound from junctions 15 to 16. A spokesperson for Warwickshire Police said: "Police were called shortly after 4am this morning (Friday, 28 September) following a report of a serious collision between a lorry and a car, which has resulted in a fire. Emergency services and fire crews are also on the scene. 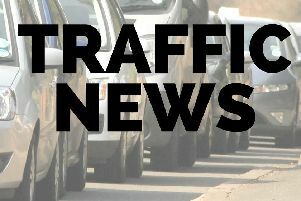 "The road is expected to be closed for the majority of the morning while the southbound stretch of the M40 from junctions 15 to 16 is also closed at this time due to a separate lorry fire."